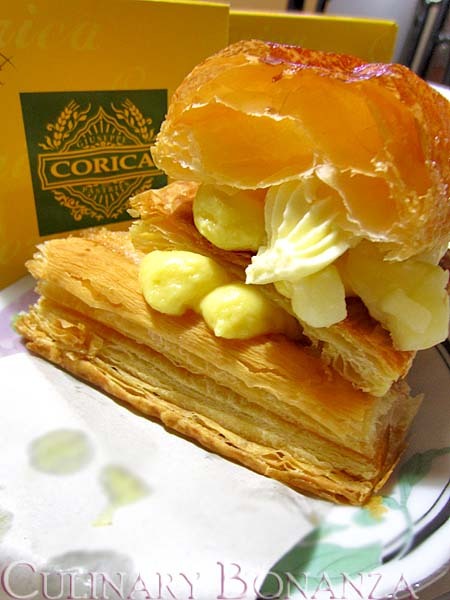 Corica Pastries, which originated from Perth in Western Australia, is most famous for its Apple Strudels. I was introduced to Corica by the new friends I made at Super Steak, who told me that if I like apple strudels, then Corica is the best I can get. I was absolutely intrigued by that and decided to give it a shot. After all, one of the outlets in Jakarta was located just nearby. Searching the address was not an easy task for me, as I was totally unfamiliar with Kebayoran Baru area. The darkness made things even more challenging. But along the way, I discovered that the streets are lined with interesting eateries and restaurants that I definitely would love to try someday. Finally, after the Nth wrong turns and stops (to ask for direction), I found it! Turned out the outlet is jointly located with an authentic Japanese restaurant. Price wise, the single servings of Apple Strudel and Blueberry Strudel that I bought were not cheap at all (for my standards). Honestly, it didn't taste that exceptional to me (perhaps, because I hardly eat apple strudels, so there isn't any comparison that I could make). But I'm glad to have tried the (supposedly) best apple strudel around and I have no regrets. The crispy & paper thin pastry layer sandwiched the cream & apple slices. My verdict? I wished the cream & apple were more generous for the price they charged. FYI: Corica not only sells apple & blueberry strudels, as you can see in the photo, they have wide selection of cookies and some cakes too. 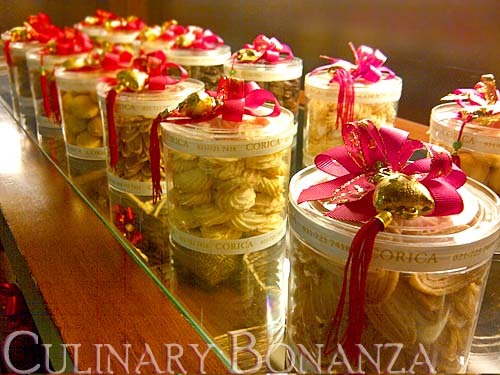 Around festive season, they even have a variety of parcels that you can buy for your dear ones. @duniabiru: Thank you for visiting my humble blog again. Hope to see you around more often ya. Cheers! this is my all-time-favourite strudel! even my mom bought the whole box strudel for my birthday and nobody can touch this until the box is empty. ahaha! @aline: Wah! dijaganya sampe segitu! LOL!